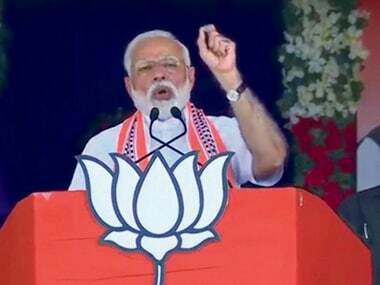 Even as Prime Minister Narendra Modi announced a relief of Rs 500 crore after taking an aerial survey of the flood affected areas of Gujarat on Tuesday, many villages around the Deesa city of Banaskantha district continue to remain cut off because the bridges and roads en route have been washed away. The intensity of the rains has reduced on Wednesday and the relief and rescue efforts continue in north Gujarat. 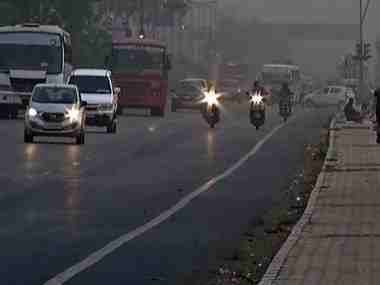 Over 45,000 people in north Gujarat and Saurashtra have been shifted to safer places. As many as 22,000 people have been evacuated from Banskantha, the worst affected region of the state. The brighter side of the flood situation is that several dams in drought-prone Saurashtra and northern Gujarat regions are filling up. So, while the rains continue to damage roads and lead to the temporary closure of state highways, shortage of water is one area which the BJP will not have to battle with in an election year. Gujarat is slated to go to polls later this year. Administrative officials maintain that relief and rescue work is on and additional NDRF teams have also been deployed. On Wednesday, more than 100 people were rescued by the army and power had been restored in Dhanera taluka, however, over 20 state highways and over 300 village roads continue to be dysfunctional. So far, at least 83 people have died in monsoon rains since the season began and in the last three days, 10 people have died in floods. Rescue work in flood affected areas of Banaskantha continues to be on via both air and ground routes and local administrative officials admit that timely alert and evacuation have enabled them to avert a major disaster. For the administration, the extensive use of social media has also been a boon in reaching out to the locals. Collector of Banskantha, Dilip Rana said, "We have been receiving messages on our Twitter handles and on Whatsapp and we were able to respond immediately." He said that social media is very useful for coordinating relief work and disseminating information. Principal Secretary Pankaj Kumar has been updating his Twitter account with information about relief and rescue operations and to post alerts. All collectors of the affected areas have been asked to take all alerts on social media and Whatsapp seriously and communicate effectively. 2 Army Colums,3 NDRF teams, 1 BSF team,Local Teams Continuing Rescue operations in Kankrej Taluka. 10 IAF Choppers engaged in Rescue in BK. 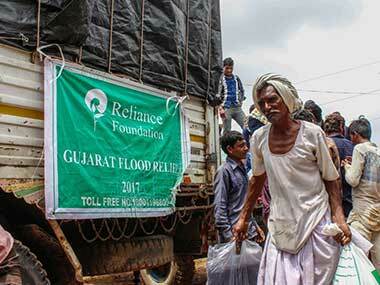 Nita Ambani-led Reliance Foundation also joined in on the efforts to reach out to the locals. Its philanthropic arm announced on Wednesday that it is in talks with the Gujarat government to adopt four worst affected villages in flood-hit Banaskantha district for rehabilitation beyond the immediate relief efforts, IANS reports. "This will include construction of new homes, schools, healthcare facilities, community hall and other social infrastructure," the Reliance Foundation (RF) said in a release in Banaskantha. "We will spend Rs 10 crore to rebuild these villages," Reliance Foundation chairperson Nita Ambani, who is on a visit to the affected areas, said in the statement. "Teams of RF relief workers, along with volunteers from Reliance Industries, are working round-the-clock, distributing relief kits, food packets, drinking water, blankets, ration kits, kitchen sets, clothes and fodder to the flood-hit people," the statement added. The floods have claimed hundreds of lives, rendered thousands homeless, disrupted livelihoods, and caused large-scale loss of assets in Gujarat. Banaskantha district has been declared disaster affected under the Gujarat State Disaster Management Act. Disclaimer: Firstpost is part of Network18 Media & Investment Limited which is owned by Reliance Industries Limited.